This year, I’ve been trying to write here at least once a week. Today, 16th March 2014, I can only write about one subject, my mother, Joyce Corcoran (née MacDougall), born 16th March 1924. Today would have been her 90th birthday. The last time I saw her alive was on her 50th birthday, 16th March 1974, when she was in Southport General Hospital being treated for bowel cancer. She died eleven days later on 27th March. She was 50 years and eleven days old. I was twelve years and three months old. What can I write about someone who’s been dead for most of my life? I’m older now than she ever was. It would be easy for me to say that I hardly knew my mother but I feel that I know her more deeply than anyone I’ve ever met. It’s hard to explain how this is possible except to say that I think and have thought about my Mum every day for forty years. Thinking is the wrong word since it implies that I use my brain to remember her. It’s more a physical feeling of being connected to her at the deep well of myself. It’s actually as if I’m carrying her inside me, almost in the way she once carried me. I tried to find some photographs of Mum (even writing that word seems strange, I suppose because I spoke it for such a short period of time) but I don’t have any, only this one Polaroid snapshot that I think one of my older brothers took in about 1973. I don’t need photographs to remember her, she’s with me all the time. My siblings have more photographs of her: as a child with her parents and her two brothers and sister; as a young woman with bright blond hair and strong red lipstick looking like a 1940s film star; and there are later photos of her, at her wedding to my Dad in 1946 and then a few snapshots with her growing family of children, another one coming along almost every year. Nine children in fifteen years must have taken their toll on her body. No doctor I’ve ever spoken to has recommended so many pregnancies as a means of staying alive but I, her eighth-born child, owe my life to her. If she’d stopped at two children, maybe she’d be alive today and writing this blogpost for herself. Would she have stopped at two if she’d thought that would have meant she’d have a long life? How can I wish she’d made a choice that might have meant that I would never have been born? I love being alive too much to ever wish for that. Anyway, nobody has ever said that it was definitely so many pregnancies that caused her to develop cancer but few people would argue that they helped. On her fiftieth birthday in 1974 it must have been a Saturday or Sunday or perhaps it was in the Easter holidays. I was home from school with my younger brother, Andy, who had just turned 11, and my brother Tim, 15. Perhaps the boys were out somewhere, I can’t remember why it was that my older sister, Elizabeth, who was looking after us and the house (I remember a rota of aunties and older sisters coming in to help while Mum was in hospital) asked me to go to hospital and take Mum her birthday cards. She was asleep when I arrived at visiting time and one of the other women in the ward, seeing me hesitate by her bed, told me to wake Mum up. I remember that she was confused as to how I’d got to the hospital (I’d only just started to go out by myself on the bus) and she was worried that I was cold (I had probably not taken a coat, exactly like my own children today). She didn’t want me to stay long because she wanted to be sure I got home safely before it turned dark. All of the conversation seemed to be centred on her concern for my wellbeing. So that was my final goodbye to my mother, forty years ago today. I didn’t see her again. There were only so many visitors allowed in at one time and in those days children in hospitals were never actively encouraged. Nobody realised how ill my mother was. I think we all thought she’d get better and come home to be with us again but we were wrong. I can’t tell you when it was that I stopped missing my mother. I’m 40 years beyond the raw, painful grief of bereavement and, yes, I still ache sometimes, but I’m also a profoundly happy and grateful person. I appreciate all that I have, including my reasonably good health, two healthy children and a loving husband. Maybe experiencing loss has made me thankful for what I haven’t lost. When I was pregnant with my first child, my daughter, someone said to me “But isn’t it a shame that your mother isn’t here.” But I’ve never had those regretful feelings myself. I can only imagine how happy my Mum would have been for me and for all of her seven, surviving children, and their children and their children’s children. My mother only lived to see one grandchild, Dominic, born in 1972, so she never knew the eleven other grandchildren and six great-grandchildren who’ve been born since (and there’s a seventh on the way). But I don’t want this post to be entirely about children as if bearing children was all that there was to my mother, Joyce MacDougall Corcoran. Of course, losing her when I was a child meant that I never appreciated her as a woman in her own right since I hadn’t completely reached that age of maturity when I realised that my mother was a person completely separate to me with her own ambitions and interests. It can only be now, when I’ve passed the age that she was when her life ended, that I have some understanding of who she was. Her favourite book was Wuthering Heights but she preferred watching films and going out to dances to reading. She liked saxophone music and Big Bands. She had a wide knowledge of 1940s films and she loved watching a really scary film at night before she went to bed. She liked wearing heels. Her favourite colour combination was red and black. If she hadn’t had time to do her hair, she’d wear a hat, face powder and strong lipstick. She was brilliant at mental arithmetic and used to add shopping bills up in her head. When I asked her to draw something she always drew neat cups and saucers and wine glasses. She told me she couldn’t draw. I’ve probably gone on far too long and I haven’t said anything about reading and writing when I’d meant to say something about the stories and poems I read this week in my Library Memory Groups which, appropriately enough, were all to do with family. I’ll have to save that for another time. Happy Birthday Joyce MacDougall Corcoran (16th March 1924 – 27th March 1974). A very moving blog, Josephine. It will be my mum’s birthday on 18th March. 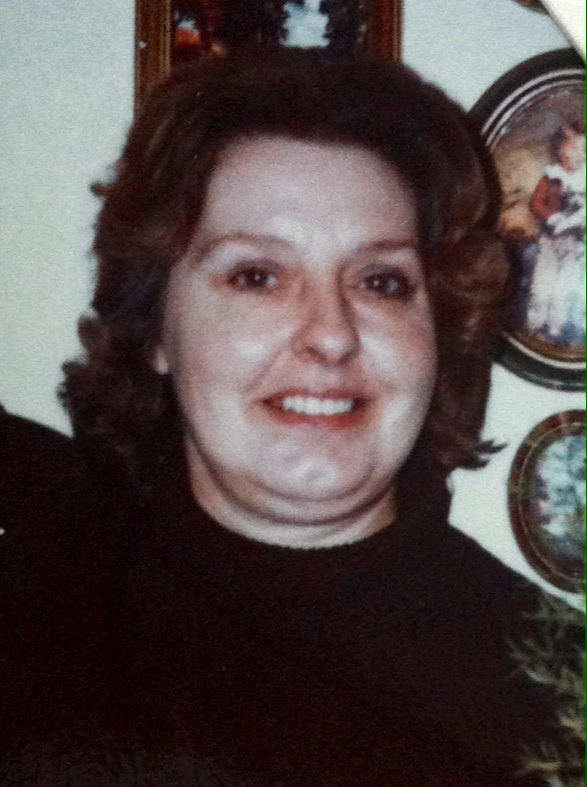 She would have been 80 but she died of ovarian cancer when she was 51. I recognise so much of what you’ve written. As you say the raw grief passes but Mum’s so often in my thoughts. Thanks for sharing and perhaps I will be brave enough to share my feelings so openly one day. I’ve enjoyed your thoughts about your mother, I think she would be proud of the way you have grown up, as a caring person. Thank you for sharing. That’s a very kind thing to say, thank you! I think my mum would have been proud of all of her children as we are still proud of her. By loving us, she taught us to love others. Thank you for commenting. What a lovely tribute to your mum – and what it means to be a mum. I lost my mum just over four years ago, and I feel her presence a great deal of the time, especially when I’m doing or wondering about things I would normally have told, or asked her. I’m sorry for your loss, Joanna, and thank you for commenting. In previous years I’ve bought something that my mother would have liked on her birthday – one year I bought a Glenn Miller CD. I remember my father saying to me that he used to try to imagine what my mother would have said about something (especially if it was to do with one of us children). The dead always stay with us. Thank you for sharing this. I loved what you said about photographs. Sometimes the bereaved are scared about forgetting. I try to reassure them they won’t. What you’ve said is poignant, David because I’m working with people who have dementia and memory loss. I can imagine that they will be afraid of forgetting the people they love although emotional memory stays with us (I’ve been told and I hope this is true). It’s important to try to find ways to help people stay connected with feelings of love. Thanks for commenting. Thank you for sharing this Josephine. Reading your memories of your mother, makes me think of mine. And that idea of ‘ carrying her inside me, almost in the way she once carried me’ is something that I’ve thought but never found the words to explain it. We have the photographs of those who have gone and sometimes they jog a specific memory but for that physical remembering of our mothers, those women who give all of themselves to their children, photographs are not necessary. Their lives/beings already beat on in ours. Thank you again. At the time I think I resented my older sister asking me to take the cards to my mother (which makes me sound selfish but I was probably nervous about the bus journey and finding my way to the hospital and ward) but now I am so grateful to her. Sorry for your loss, Rebecca and thank you for your kind words. I just came across this post of yours today, Josephine. Coincidentally, yesterday was the 16th anniversary of my mom’s death and she also died of bowel cancer. Your words about your mother are a gift – thanks.